We have two exciting new plugins available on the Corona Store: A versatile Twitter plugin by Jason Schroeder, and a QR code and barcode reader from Spiral Code Studio. Please visit the store to activate plugins, or to submit a plugin yourself. Created purely in Lua, this plugin leverages Twitter’s powerful web APIs to allow Corona users to access Twitter. You can quickly and easily let users log in, display their profile image, send tweets, and much more. Because this plugin is written in pure Lua, it is supported on all platforms. local twitter = require "plugin.twitter"
twitter.init("API_KEY", "API_SECRET") -- Configure me! Check it out on the Corona Store. A much requested feature is now available, thanks to Spiral Code Studio. 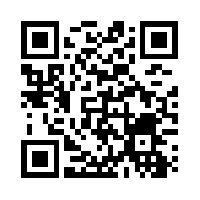 With only a few lines of Lua, your apps can now read QR codes and barcodes! This plugin is available for Android and iOS. Do you want to turn your lua module or custom shaders into a plugin, to share with others? Do you have a plugin created with Enterprise that you want to distribute? Submit your plugin to the Corona Store!